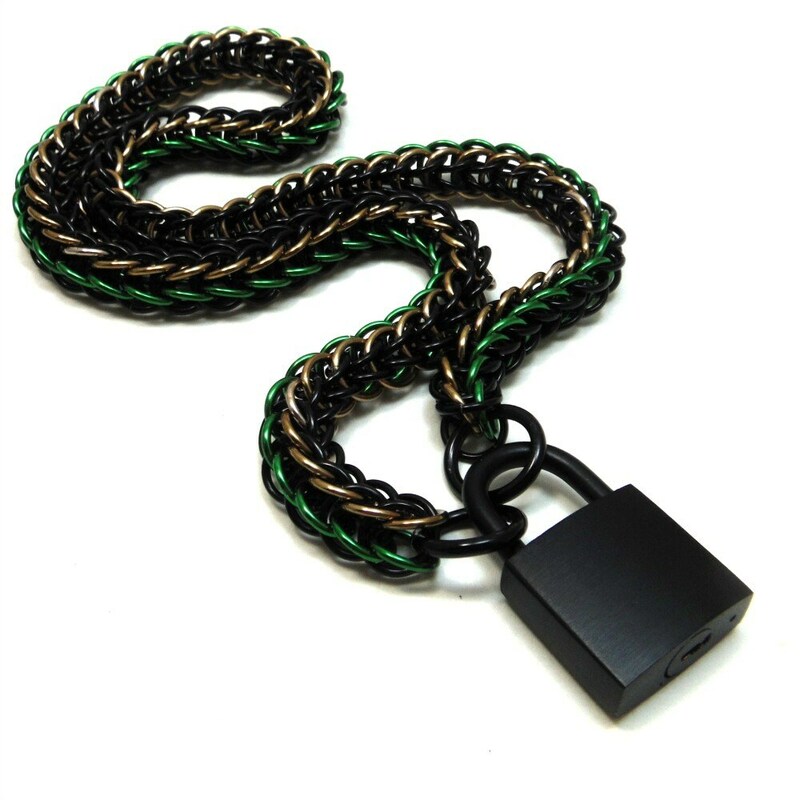 This bold, unusual slave collar is hand crafted for a unique camo look with black, green and tan anodized aluminum rings in a smooth, sleek chainmail pattern known as the Full Persian, or Fox Tail weave. 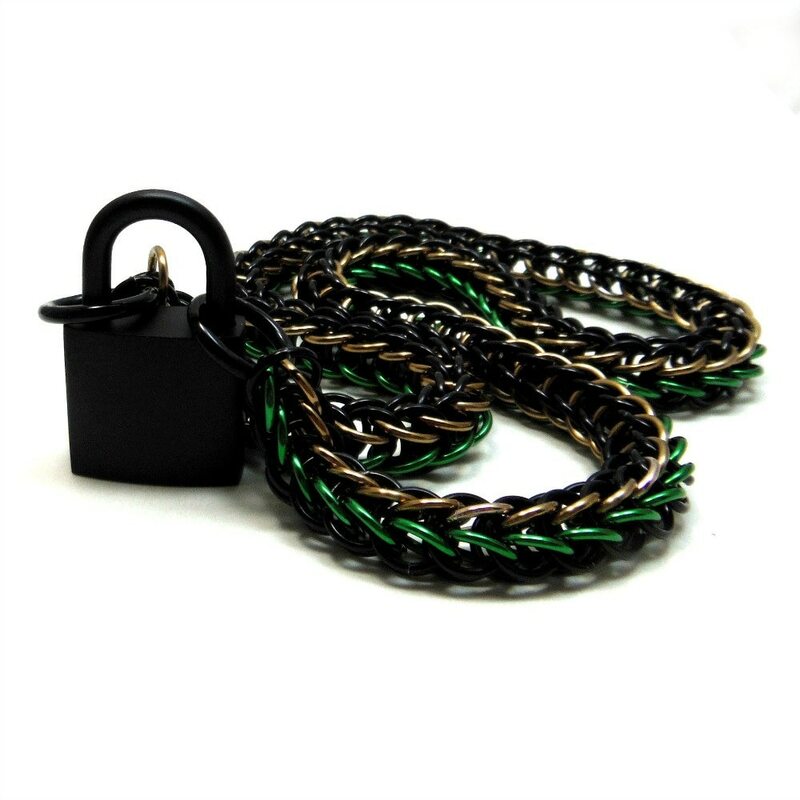 It closes with a solid brass padlock closure at the front in a matte black finish. 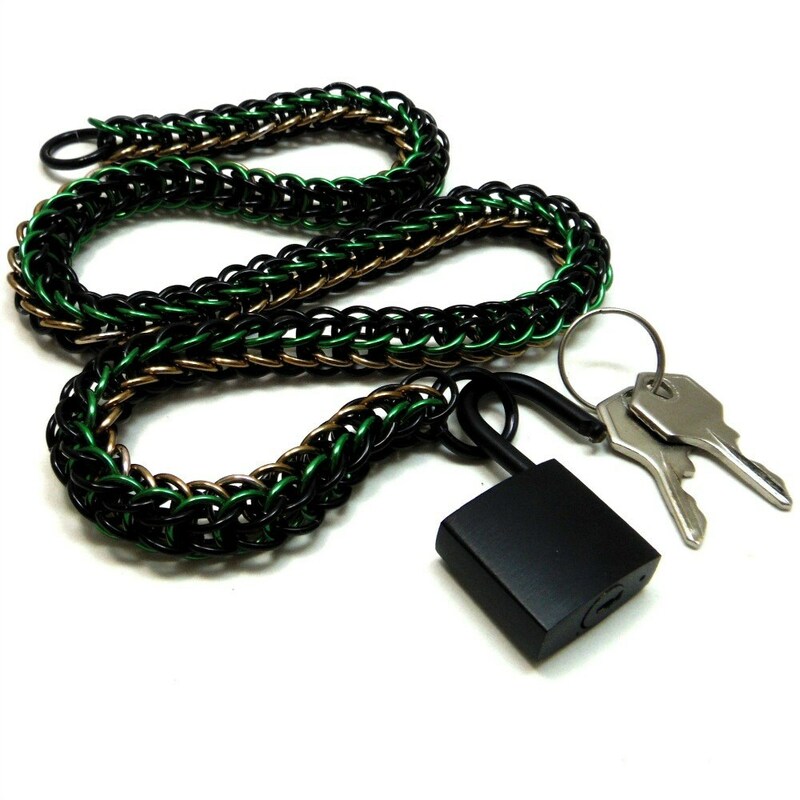 The lock measures about 20 mm, and comes with two keys. 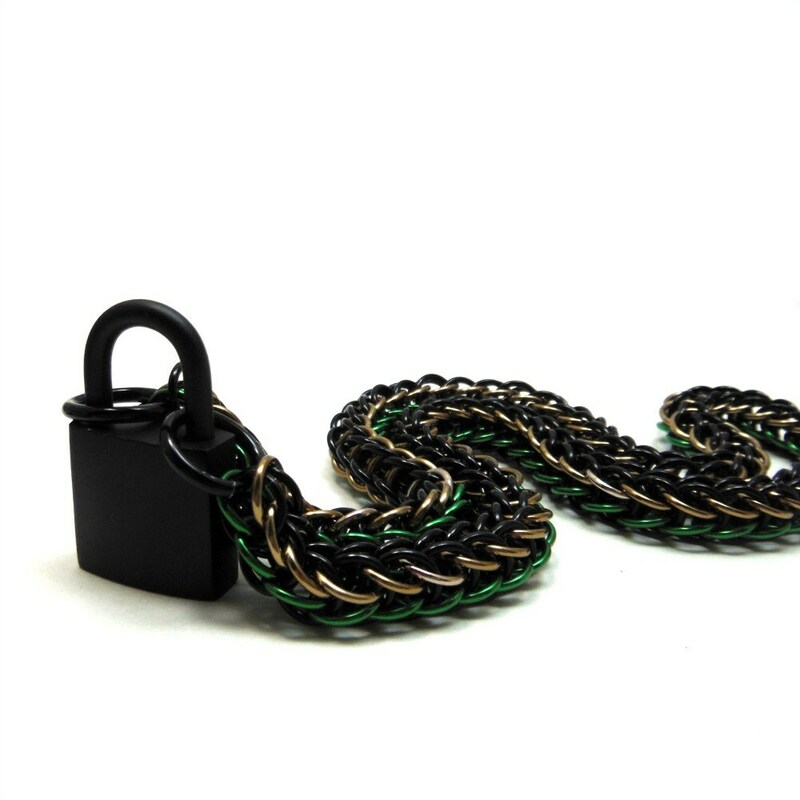 Because it is made with aluminum, the chain is incredibly lightweight & comfortable, perfect for every day wear! 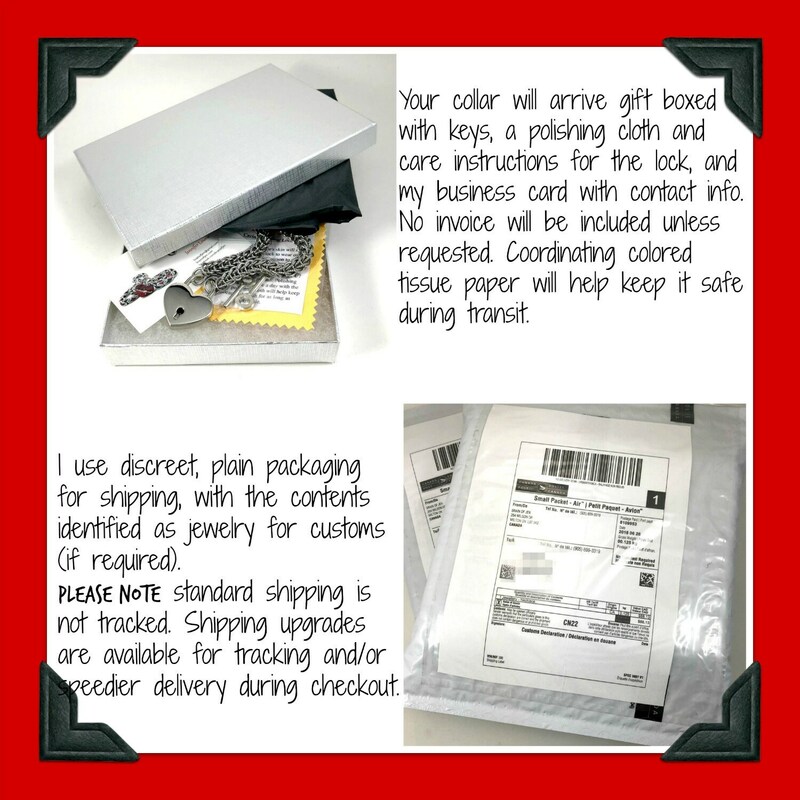 Just a little soap and water cleans it right up, so you can even wear it in the shower without worry.